How and why has life on Earth become ever more complex over time? Darwin's theory has provided us with a general framework for understanding biological evolution, but it does not explain the long-term trend toward increased complexity. 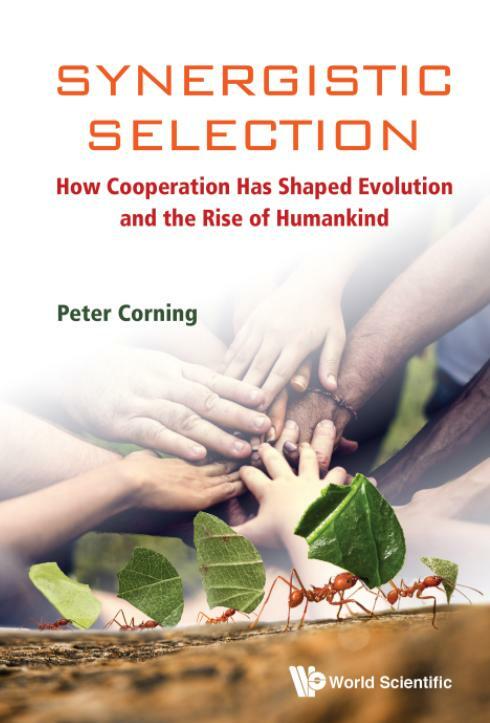 Peter Corning's new book, Synergistic Selection: How Cooperation Has Shaped Evolution and the Rise of Humankind, represents a major theoretical contribution. It highlights the creative role of synergy–the unique combined effects produced by two or more genes, parts, or organisms–throughout the natural world. As Dr. Corning puts it: "Nothing about the evolution of biological complexity makes sense except in the light of synergy… Life on Earth has been a synergistic phenomenon from the get go." He also shows how synergy has been a key to human evolution, including the rise of complex modern societies. He describes the evolution of our species as a cooperative, entrepreneurial process, which he refers to as the "Self-Made Man" scenario. "This is an important book," writes Daniel W. McShea, Professor of Biology at Duke University. "It offers a solution to a problem that has been central to evolutionary biology for half a century, with implications that reach down to the foundations of evolutionary theory." Dr. Corning also addresses the future of our species, and of the planet, in the context of the negative synergies that are now threatening to overwhelm us. As he shows, we are at a tipping point in our history. He argues that our ultimate fate as a species will depend on being able to make major social, economic and political changes on a global scale, and he offers us a synergy-based road-map to the future. According to Anthony Trewavas, FRS, Emeritus Professor at the Institute of Molecular Plant Science, University of Edinburgh, "This magnificent book reveals the critical role of synergy in evolution and in all of biology, including especially in humankind." He concludes: "Peter Corning offers us a unique and hopeful new vision." Written in an engaging, conversational style, Dr. Corning's book will appeal to academics, students and general readers who are interested in evolution, and in the future of humankind. The late Sir Patrick Bateson, FRS, Emeritus Professor of Biology at Cambridge University and president of the Zoological Society of London, gave the book a strong endorsement: "Peter Corning's approach is wise and he is astonishingly well read… He writes extremely well and I read every word with great pleasure and interest. I am full of admiration and strongly recommend it." This book retails at US$29.95/£26 (paperback) at major bookstores. To learn more about it, visit http://www.worldscientific.com/worldscibooks/10.1142/10732. For excerpts, visit the author's website http://www.complexsystems.org. Peter Corning is currently the Director of the Institute for the Study of Complex Systems in Seattle, Washington. He was also a one-time science writer at Newsweek and a professor for many years in the Human Biology Program at Stanford University, along with holding a research appointment in Stanford's Behavior Genetics Laboratory. In addition to some 200 professional papers, he has published six previous books, including The Synergism Hypothesis: A Theory of Progressive Evolution, New York: McGraw-Hill 1983; Nature's Magic: Synergy in Evolution and the Fate of Humankind, New York: Cambridge University Press 2003; Holistic Darwinism: Synergy, Cybernetics, and the Bioeconomics of Evolution, Chicago: University of Chicago Press 2005; and The Fair Society: The Science of Human Nature and the Pursuit of Social Justice, Chicago: University of Chicago Press 2011.